visiting the country for the first time. Summer is perhaps the most exciting time to travel to Lithuania. Lots of street activity and open-air concerts are taking place and all of the attractions are open. From early June to the end of August is the peak tourist season therefore its worth to book your accommodation in advance. From the middle of June till the middle of August, when you usually get the warmest weather in Lithuania, is the best time to visit Lithuanian seaside and enjoy the best of its beach life. Summers in Lithuania are usually warm and sunny, though be prepared for some cloudy and rainy days. Occasional heat waves may occur. The temperature may rise to +30 °C, which was the case last summer in 2007. If you want to beat the tourist rush, late spring and early autumn is a delightful time to visit. In May the countryside is beautiful with rich green fields dotted with yellow flowers, the weather is rather warm and comfortable and in September you often get spells of sunny and warm weather especially during Lithuanian bobu vasara (Indian summer). For me personally it is the ideal time to explore Lithuania. In December, January and February you can expect snow. The winter can be harsh and make the thermometer plunge well below freezing sometimes as low as –25 °C. Of course, if you are coming to Vilnius just for a city break and planning to visit its restaurants and night-clubs, cold weather shouldn’t be much of an issue and also in winter prices for accommodation go down. Pack as you would for any European city: more dressy outfits for formal restaurants and nightclubs and casual clothes for everywhere else. Even in summer bring a light jacket because the evenings can occasionally be cool. Needless to say you should bring a thick coat, gloves and a woollen hat in winter. National currency of Lithuania is the Litas. Currency exchange bureaux, inside hotels and banks, are open between 9 am. till 5 or 6pm. Credit cards- almost all establishments: hotels, restaurants, night-clubs, bars and shops will accept most of the major cards. When travelling outside Vilnius or in the countryside to be on the safe side take enough cash with you. Tourist information centres, most hotels and magazine city guides have maps of Lithuania and city maps. Most major petrol stations sell Lithuanian road maps. 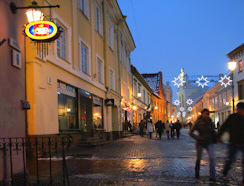 In comparison to other Eastern European cities, Vilnius is a relatively very safe city. However, you should be careful with items like cell phones and laptop computers as thefts are not unheard of. Banks are generally open from 9am. to 5pm. Shops are open around 10am close any time between 6-8pm., some closed on Sundays. Grocery stores usually operate from 8am until 10pm. 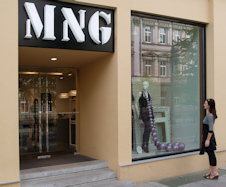 Museums and galleries are usually closed once a week on Sunday or Monday. You will find that English is spoken in all of the hotels and restaurants in the Old Town and the city centre. 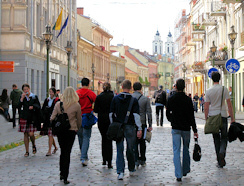 Most of the younger Vilnius residents speak English. are found all over the city. They require a pre-paid Lithuanian telephone card that you can get at press kiosks, post office or supermarkets. When I am staying longer than a few days and have to make cheap calls to Lithuanian mobile networks I always get a pre-paid SIM card for my mobile phone. I usually use the services of Lithuanian Bite Company. You will find standard two-pin European sockets, electrical current 220 volts AC. It’s advisable to bring all adapters with you, as they can be hard to find. Whenever I go abroad I always use travel insurance. One of the major reasons is that it covers your medical bills if you get sick or injured while travelling. Personally I use AA travel insurance because it seems to offer the same value of service for a lower price. EU citizens do not need visas to travel to Lithuania. No visa is required from Australia, Canada, New Zealand, Switzerland, the US and citizens of Nordic countries. Visiting Vilnius (Lithuanian capital) is the definite highlight when travelling to Lithuania. A side trip to the medieval Trakai castle and Kaunas Old Town is also well worth planning. 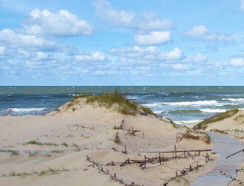 No less charming is the Lithuanian seaside with choices of the beautiful Curonian Spit or the summer capital Palanga. 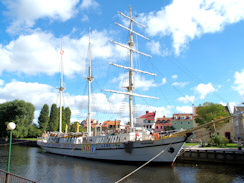 A side trip to Klaipeda Old Town is recommended. 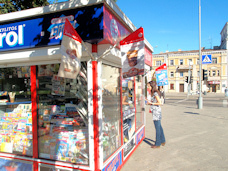 The tourist information centres usually offer free city guides with lists of Lithuanian restaurants, accommodation, city attractions and events. Here you will get important information about Lithuania.